I used this lesson plan in all my classes on Valentine’s week and it was such a great success I’m considering establishing a Love Day every month! 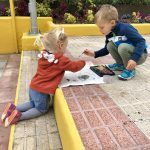 The beginning of the class is the same, then you’ll find two different crafty activities: I used one in a one-to-one class with Alejandra (5) who’s better at cutting and the other one in a small group class with siblings Lola and Juan (4 and 6). Both these lesson plans cover about one-hour class. You’ll only need Super Simple Songs (you’ll see lots of these songs used in my lesson plans, so why don’t you go ahead and buy them? They’ll make your life easier and your classes more fun!) and some printouts. I might sound like a broken record, but starting your class with a song is the best thing you can do, for many reasons. It sets the mood (happy happy), breaks the ice (some kids will always be shy at the beginning, no matter how well they know you) and lets them know who’s in charge (YOU choose the activities, not them). Hello! is a great song to start as kids get to review greetings such as “How are you?” and feelings “I’m good, I’m hungry, I’m tired” etc. When they are already familiar with the song, I usually introduce one of my twists. I have them choose six dolls/teddy bears/toys they like and before singing the song we discuss how they feel, making sure we use the vocabulary of the song. It’s going to be something like, “Who’s feeling tired?” “Airplane is feeling tired!” (try making them say the whole sentence). Before I play the song, we repeat it a few times to remember “who” is feeling how. We then sit the toys on the bed and we sing the song forthem, asking them “How are you”? When singing the answer, if we sing “I’m great” we’ll pick up the toy that was feeling great (trust me, they’ll remember! ), if we sing “I’m hungry” we’ll pick up the doll that was feeling hungry… you get the gist! At the end of the song, kids always have to ask each other (if it’s a small group class) or me (if it’s a one-to-one class) “How are you?” and answer using one of the feelings from the song. Oh, and it’s a great way to get rid of that annoying “I’m fine thank you and you?” they learn in school and that sounds so unnatural! This is one of my favorite simple songs! 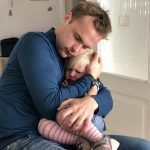 I love it, kids love it, parents love it, we all love it so much I decided to introduce a Love Day every month! Why wait for Valentine’s or Mother’s Day to sing this sweet song? Special occasions like Valentine’s Day, though, are a great way to introduce new vocabulary and topics. 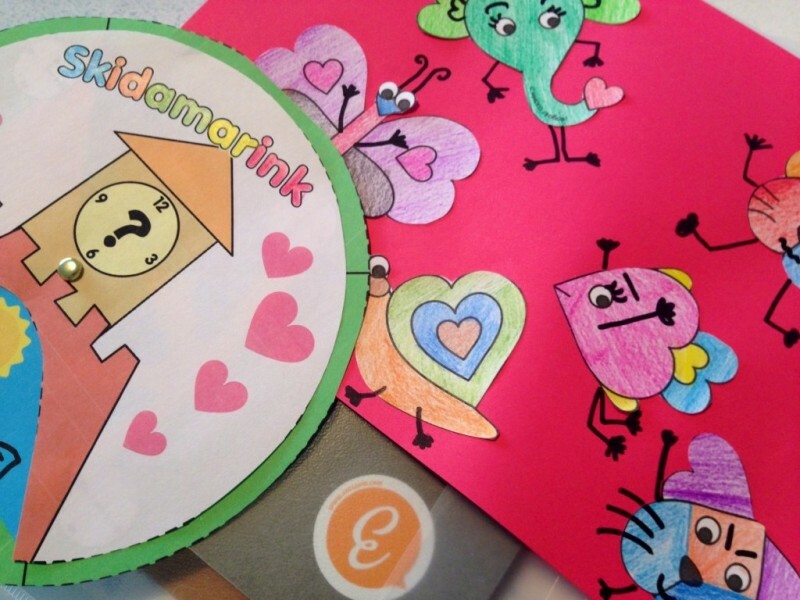 Below, you’ll find two crafty activities I paired with the Skidamarink song this year. I found this activity on Krokotac, a website I really like and have been using for a long time. 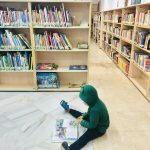 I like when kids make their own craft with no—or minimum—help from my side and some of the Krokotac activities are way too difficult for kids. But sometimes, I find some hidden gems, like this very simple Flora and Fauna Hearts, perfect for Valentine’s or Love Day. You can also find the template here. 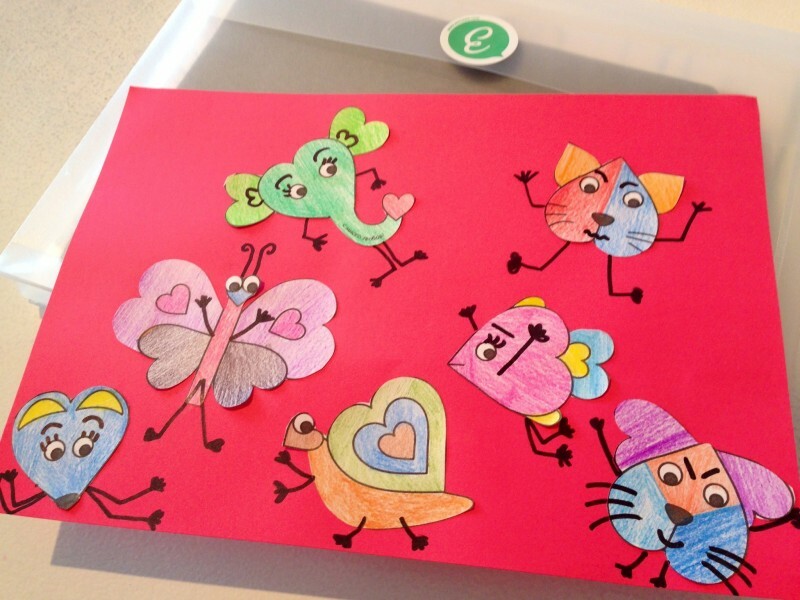 To make the activity shorter, you can print the template directly on a white paper, color the hearts and draw the body parts. As for me, I’m a big fan of cutting as I think it teaches kids precision and attention to details. This activity is a great introduction to body parts to then sing One Little Finger in the next class (coming soon)! Another option is to work on parts of the day, as the song talks about the morning, the afternoon, the evening and underneath the moon. 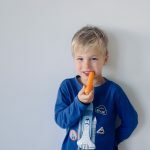 If you want to do this, there’s nothing better than the Skidamarink Wheel, a beautiful craft by Super Simple Learning. You can find it here. Most of my students love coloring so I usually choose the B&W version, but if some students don’t enjoy it, you can print the colored version, create the wheel and then invent some activity with it. It’s also great to practice questions like “What do you do in the morning/afternoon/evening/at night?” and have them answer before or after drawing. 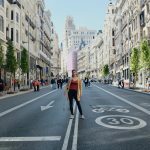 If you liked this, it would be great if you could like it and/or share it. You can also find more of my Lesson Plans here. If you use this lesson plan, please let me know how it went and if you had to change something to adapt it to you class. Sharing makes perfect! We love Love Day! What a wonderful lesson you’ve planned, with a nice mix of songs and activities. 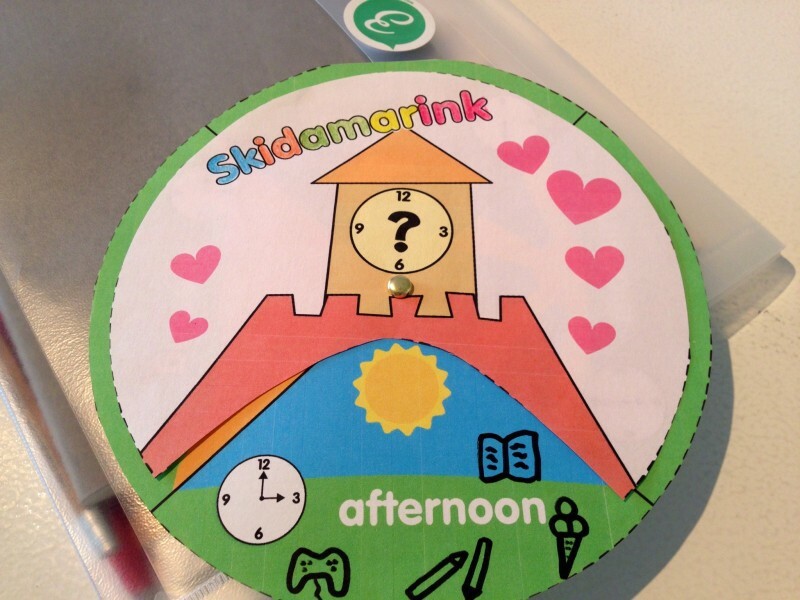 Great idea adding pictures to the Skidamarink Wheel. That really personalized the activity.Thank you so much for sharing, Carlotta! Thanks Sara! It makes me so happy to know you like it! 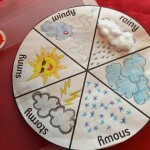 I just published my new Rainy Days Lesson Plan (with Super Simple Songs, of course!). Hope you enjoy it! 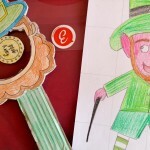 This is a special lesson I did with my young students on Saint Patrick's week, which is a typical British holiday.